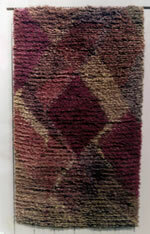 Hand woven/hand tied rugs from around 1970. the warps are cotton and the weft and pile is wool rug yarn purchased as mill ends. 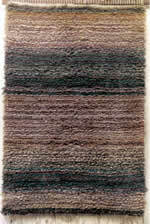 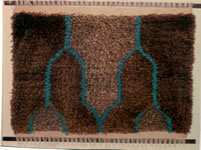 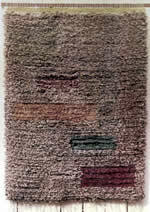 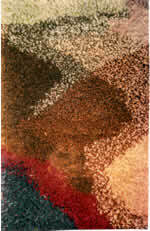 Two more rugs from the same period, in abstract patterns of cut pile. 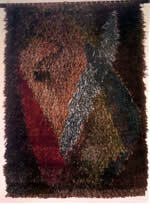 The rug on the right combines chained uncut pile with cut pile.